The only thing better than sunshine, good music, and hanging out with your friends is sunshine, good music, and hanging out with your friends on a boat. There’s just nothing like a carefree day on the water. If you’re lucky enough to get invited aboard a friend’s boat, you’re in for a great day! But, what do you wear? Should you bring anything? Is boat etiquette even a thing? Generally, you can treat a boat gathering like you would any other party on land—with just a few exceptions. Here’s how you can be a great boat guest (and ensure a return invite). You don’t have to rock nautical stripes and preppy boat shoes, but you should plan on wearing layers and flats with non-marking soles. Just keep in mind that conditions on the water can be unpredictable, and you don’t want to end up shivering under a pile of life jackets in a futile attempt to stay warm. And don’t forget to pack sunscreen, sunglasses, and an extra towel—just in case. Ask your host if he’d like to you make an appetizer or pick up some ice on your way to the dock. Things that are easy to serve up like sandwiches, cheese and crackers, or pre-cut veggies and hummus are all great additions to any day on the water. Just be sure to avoid bringing anything that could stain the deck of the boat, like brightly colored punch. Start times for get-togethers on land are generally pretty casual—if you show up an hour late, it’s no big deal. But, boat outings generally have tides and weather to contend with, so your friend might have a narrow departure window. Arriving late could potentially throw the whole day off (or result in you being left behind!). When it comes to boating, be sure to show up on time and save the fashionably late entries for house parties. Boating is a team effort. Your host might be perfectly happy to go it alone, but you should at least offer to help out—especially as you’re getting underway (leaving the harbor) and returning to dock. Throwing off lines, pulling fenders aboard, or tying off at the dock are all pretty easy tasks for boating novices to help with. If you have zero boating experience, start by teaching yourself a simple cleat hitch knot. You can probably master the concept in about 10 minutes. If you really want to impress your friend, memorize some basic boating terms, too, like forward (front), aft (back), starboard (right), and port (left). Your host will surely do everything she can to keep you safe while you’re onboard, but knowing that you’re taking your own safety seriously will give her major peace of mind. It’ll also up your chances of getting invited back. So, listen carefully when your friend gives instructions, be willing to wear a life jacket if the water gets rough (or if you aren’t a strong swimmer), remember to hold on to the railings as you move about the vessel, and if you’re sailing, always pay attention to the boom. It doesn’t feel good to get smacked in the head by that thing. If you’re prone to motion sickness, you should also plan on taking some preventative measures (anti-nausea medicine, pressure point bands, etc.) to stave off any queasiness. You should, of course, always thank your host. But, great boat guests go above and beyond to show their appreciation. You can offer to chip in for diesel, give your friend a gift card to a local boating supply store, take him out to a nice dinner, or simply stick around to help clean up after your day on the water. Any gestures—big or small—will be greatly appreciated. And isn’t that what friends do for each other anyway? This is probably the easiest and most important thing a great boat guest can do. Most people don’t buy a boat so that they can keep it all to themselves. They want to share the experience with their friends and family. So, enjoy yourself! Take in the beautiful scenery, ask questions about the boat, or go for a swim. As a boat owner, there’s truly nothing better than knowing that your friends are having a blast. Spending a day on a boat should be fun, casual, and carefree. Really, who can be in a bad mood when you’re cruising around the water on a sunny afternoon? The next time you get invited to hang out on a friend’s boat, keep these easy-to-follow guidelines in mind. You’ll probably win a “Boat Guest of the Year” award—or at least get nominated. Jaclyn her husband and their dachshund mix are full-time live aboards. 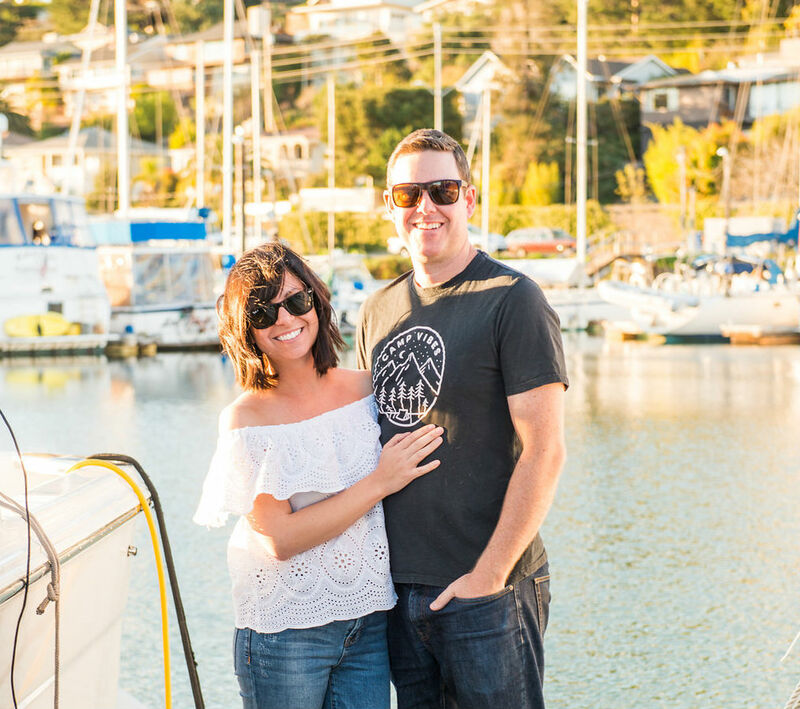 Sharing their adventures in boat life on their blog The Wife Aquatic.